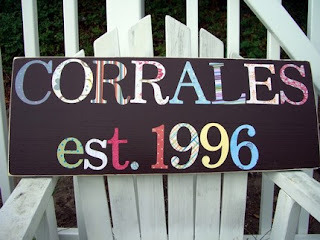 Looking for a creative way to celebrate something special? Celebrate the little things in life. Lost a tooth? Promotion? Helped around the house? Kicked your first goal? Saved money on your car insurance? Everyday is cause for some sort of celebration, according to Joy's Hope! 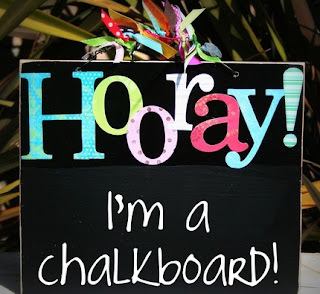 This Hooray sign doubles as a chalkboard so you can customize it to honor daily victories. I think it would be an excellent teacher gift! What a great way to boost class morale, with the celebration of everyday accomplishments! 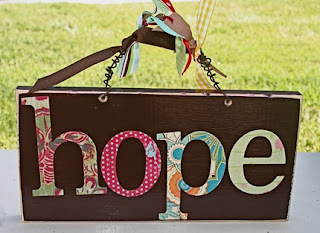 At Joy's Hope, you can find a variety of creative custom signs, chalkboards and more! These are whimsical, cheery and feature darling coordinating ribbon in vibrant colors! Check out her site and browse around for some great gift ideas!